The first chakra governs worldly survival. A clear and healthy first chakra creates a sense of security, and facilitates an experience of balance and well being in life. 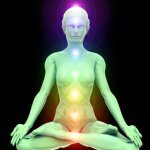 In these ever changing times, we all could benefit from a few minutes a day devoted to clearing our first chakras. This post will give you five quick and easy ways to do that. Mantra repetition balances your root chakra, by bringing our awareness back into the body. If you don’t currently have a mantra you prefer I recommend Sat Nam for how easily it is can be aligned with the natural cycle of the breath. Breath in Sat. Breath out Nam. Breath in Sat. Breath out Nam… As your awareness and vital energy returns to the body, it courses through your chakras, effortlessly cleansing away heavy energies and thought forms. 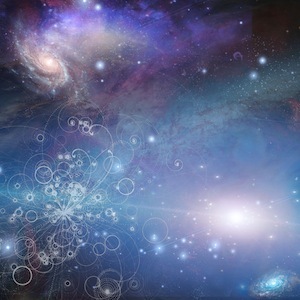 Fear and worries dissolve easily into calm and trust after a few minutes of mantra repetition. 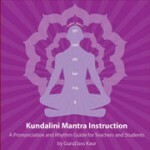 Mantra repetition can be done as a meditation or while waiting for a red light to change. The spinal flex is an easy way to release tension from the lower spine and to experience deeper grounding in the body. Begin by Sitting in an easy cross-legged position. Place your hand on the knees with your arms straight. Align the shoulders above the hips and keep your head level, so that as you flex your spine your head and shoulders stay relatively still. Inhale deeply, and flexing the spine forward, allowing the heart area to stretch slightly. As you exhale rock your pelvis back, gently arching the spine. Repeat for 3 minutes or for as long as feel comfortable. Spinal Flex from hargobind khalsa on Vimeo. Guru Prem Singh provides excellent instruction on how to practice spinal flexes safely and effectively. Add a pinch of natural sea salt to your drinking water once a day. It is a fast and effective grounding technique. Plus it giving you a daily dose of electrolytes, and trace minerals. Natural sea salts, such as pink Himalayan Salt, have become increasingly popular in place of regular table salts, so if you don’t have some at home, a quick trip to any grocery store will remedy that. 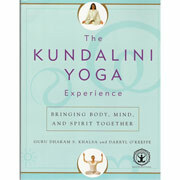 The book The Kundalini Yoga Experience by Guru Dharam S. Khalsa and Darryl O’Keeffe s a wonderful resource. They recommend a few minutes in crow pose for first chakra health. Simple stand with the feet hip width apart and then bend your knee until you are squatting between your feet. Keep feet flat on the floor and extend your arms straight out in front o you. Interlace the finger such that the left pinky finger is on bottom, and extend both pointer fingers forward. Hold the pose for as long as is comfortable and breathe deeply. Plants and flowers have the ability to defuse the occasion stress responses we all have to our day-to-day survival issues. I highly recommend both essential oils and flower essences to manage first chakra stresses. iFor instance, one sniff of Vetiver Oil brings a deep sense of inner strength and security. Bach Flower Remedies makes a produce called Rescue Remedy that is very helpful for coping with stress. Many health food stores carry essential oils. Bach flower remedies are easier to find. I have even found Rescue Remedy at my local drug store recently! If you need to handle a survival situation, such as talking with a boss about your job security or your spouse about family finances, or if you just want to give your root chakra a quick cleanse, any of these options are a good place to start! Sat Nam Vic! Walking barefoot on the earth is a great way to help the first chakra. 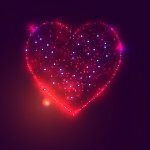 Check out our new Root Chakra article for other great ideas. I find my first chakra gets weak and I sometimes try to meditate with a stone. I find trying to walk bare foot helps and I try to take of my shoes so my feet feel the ground.